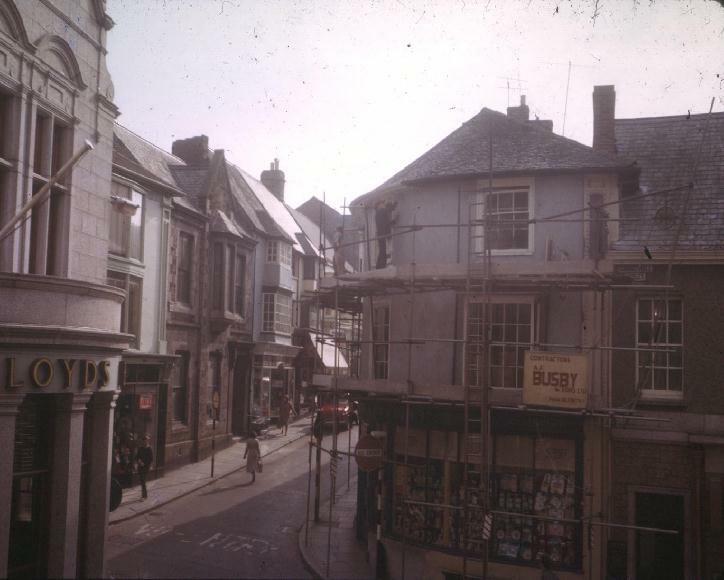 These photographs of the junction of Meneage Street, Coinagehall Street and Wendron Street, opposite LLOYDS Bank, were taken back in 1965. Entrance to Meneage Street. Note the big NO ENTRY signs. 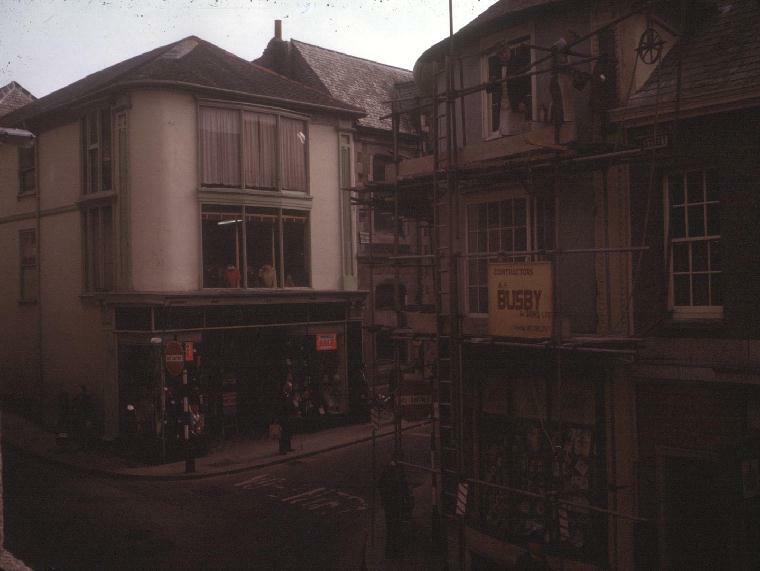 Apart from LLOYDS Bank just about everything here has changed since 1965. 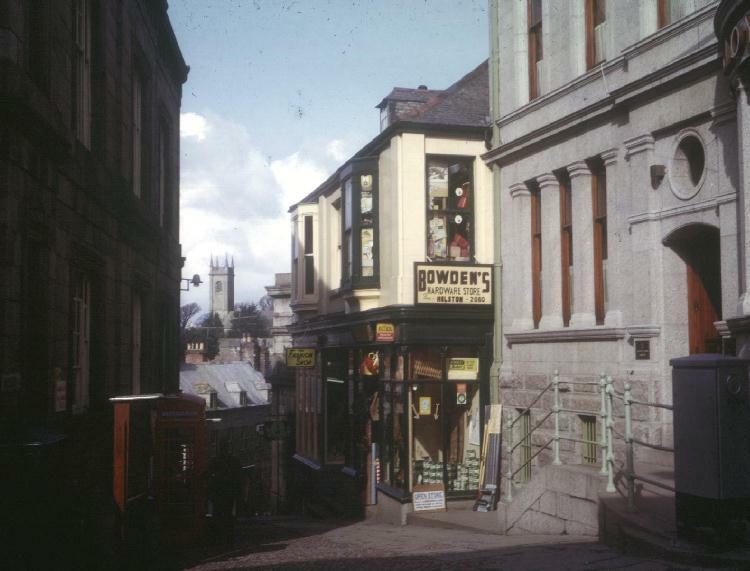 Guildhall Steps very much the same today as back in 1965. The only change is the water `rill` that runs across cobbles built in 2000. 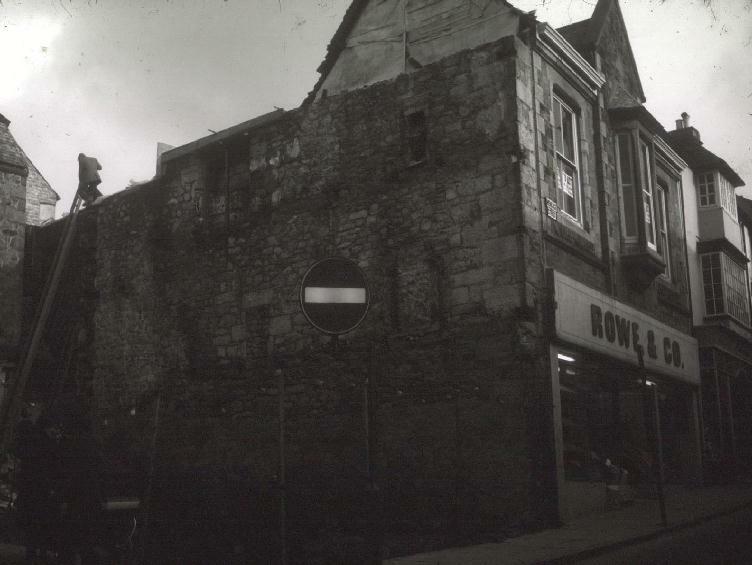 Taken a few years after 1965 this photograph shows the re-development of the Wendron Street corner.